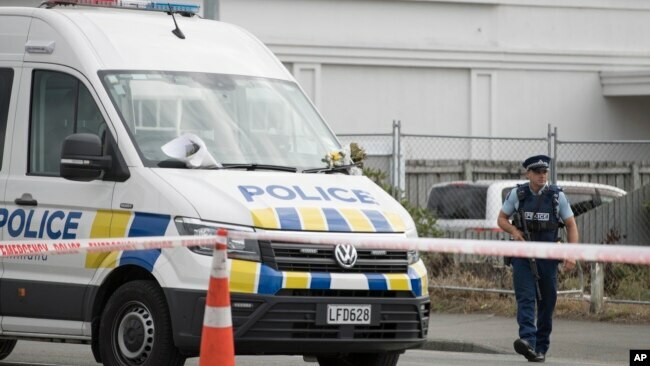 By Steve Miller (VOA News) – Residents of Christchurch, New Zealand, have returned to work and school, but the city of nearly 400,000 is still coming to grips with the tragic events that unfolded Friday, when a gunman entered two mosques and killed 50 people. Throughout the city people continued Tuesday to flock to memorials to pay their respects to the members of their community who lost their lives, hoping to heal and ensure such events do not take place again. Monday, New Zealand Prime Minister Jacinda Ardern, announced her Cabinet reached a consensus for in-principle agreements on changes to the nation’s gun laws. “Within 10 days of this horrific act of terrorism we will have announced reforms which will, I believe, make our community safer,” Ardern told reporters at a news conference Monday. Ardern didn’t provide details of what changes may be proposed, but altering the country’s gun laws was a topic of conversation Dr. Mohomad Anwar Sahib, chairman of the New Zealand Islamic Information Centre (NZIIC) and Imam of the center’s Masjid at-Taqwa, had with several members of the community during his daylong visit to Christchurch from Auckland. The issue of what to do, if anything, about New Zealand’s firearm regulations “was one of the most important topics” we discussed, Anwar said. While some have called for an outright ban on guns, Anwar notes that New Zealand’s legislative process doesn’t enable the prime minister to make instant changes to laws. “This is a democratic country. She (Prime Minister Arden) can’t say ‘Stop the guns.’ It goes through so many channels before it can happen,” he said. 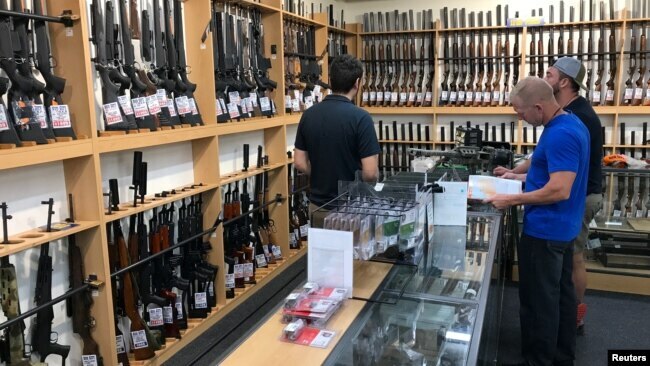 Firearms and accessories are seen on display at Gun City gunshop in Christchurch, New Zealand, March 19, 2019. The alleged perpetrator of the New Zealand mosque attacks distributed a more than 70-page document before the attack. Its content called foreign immigrants “invaders,” a signal to many that the man in police custody is a white supremacist. “I don’t think it’s (white supremacy) any longer a fringe movement, it is certainly coming of age. It is being globalized at a very rapid pace,” said Erroll Southers, a professor of national and homeland security at the University of Southern California in Los Angeles. And that is a concern for the Muslim community in New Zealand. A police officer stands guard outside the Linwood mosque in Christchurch, New Zealand, March 19, 2019. Sarah Stewart-Black, director of New Zealand’s Ministry of Civil Defense and Emergency Management, spent the first half of Tuesday visiting several locations throughout Christchurch to understand more about the government’s response thus far. “It was important for me to come down and connect with people on the ground to see how everyone is doing and check on the pressure points, and [how] we government can work with the community to provide the right assistance,” she said. Beyond addressing the immediate needs of the Muslim community, Katrina Casey from the Ministry of Education, noted that the ministry’s “traumatic incident teams are in constant contact” and visiting priorities schools (a facility that has direct connections either to victims, and/or parents of victims, and/or staff, and/or the Muslim community). The teams, she says are working to make sure “schools and early childhood centers getting the right level of support” throughout the nation. “This is not something where our support will be only this week, as support will remain as long as it’s needed, and we think that will be for some time to come,” Casey said. The government’s response has been appreciated says Anwar, which is why his organization is looking to collaborate with various emergency management organizations to effectively distribute the more than $5.6 million that’s been raised online since Friday through various online donation platforms. He says that with the funds collected, and by working with officials, “there won’t be anything missing” in terms of providing assistance, not only to those directly affected by Friday’s shooting, but to the larger community as a whole. 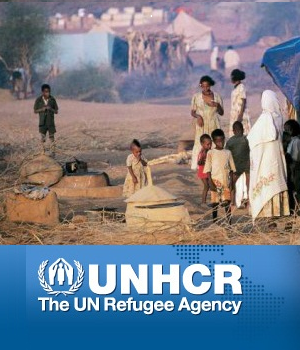 VOA’s Ira Mellman contributed to this report.